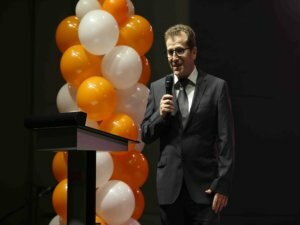 Celebrating its 30th year of commitment to innovation in the country’s baking industry, Puratos Philippines recently held a celebratory event at SMX Convention Center, SM Aura Premier. Present in the event were Mr. Bernard Poplimont, Puratos Southeast Asia Regional Director; Mr. Joe Sowers, Regional Vice-President – Philippines for US Wheat Associates; Mr. Bien Enrico Ah, President of Liberty Food Corporation; Mr. Chito Medina-Cue Jr., General Manager of Puratos Philippines; Mr. Jigger Avanceña, General Manager of Trifoods; and Ms. Chi Bacobo, Office of Taguig City Mayor Representative. The event featured innovations such as a mobile innovation center called Move N’ Bake, Puratos My Bakery Mobile App, Tegral Soft’r Bread (a 100% bread premix for easy preparation of premium soft breads), Vivafil (ready to use fruit filling), and Chocolanté (a real chocolate made with the highest quality beans and made from sustainable cacao beans in the country). There was also the Marketplace composed of booths which featured different baked goods produced using Puratos’ innovative ingredients. Creative breads, cakes, and chocolates were on display as a source of inspiration for bakers. “For the past 30 years, we work closely with Filipino bakers to grow their business. I think what we are the proudest of is that we work with all kind of bakeries from the smallest “panaderia” to quick service restaurants and chain bakeries. We don’t discriminate.” said Poplimont. Puratos also started the Cacao Trace Program, a sustainable program that builds upon the Filipino farmers’ local knowledge and expertise by helping them increase the value of their cocoa. As a fitting culmination to an already exciting day, a Chocolate Night was held for customers from the food service and industry sectors. During dinner guest chocolatier Chef Adang Hendra of Puratos Indonesia presented a triad of desserts using Chocolante Philippines couverture chocolate with 62% cacao mass. Bernard Poplimont also gave an update on the Cacao Trace program and how just recently they have awarded chocolate bonus (incentives) to cacao farmers in Davao. As part of the program, about six participating chefs from different hotels in Metro Manila were acknowledged for their outstanding entries to the 2nd Carat Chocolate Showpiece Competition. Ma. Deca Erestain of Marriott Hotel was awarded Grand Champion while Yaunnie Casiano of Shangri-La The Fort was awarded 1st runner-up. Both received cash prizes from Puratos and gift packs from Sweetlink. In addition, the Grand Champion also received a Kenwood Chef XL mixer from Colombo Merchant Philippines. 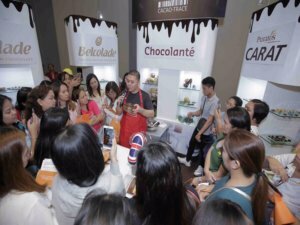 Visit www.puratos.com to know more about Puratos Philippines and their innovations and www.cacaotrace.com for Cacao Trace Program. Puratos is an international group offering a full range of innovative products, raw materials and application expertise to the bakery, patisserie and chocolate sectors. Its headquarters are just outside Brussels (Belgium), where the company was founded in 1919. Almost a century later, our products and services are available in over 100 countries around the world and, in many cases, are produced by our network of local subsidiaries. It aims to be ‘reliable partners in innovation’, helping customers around the world to deliver nutritious and tasty food to their local communities.